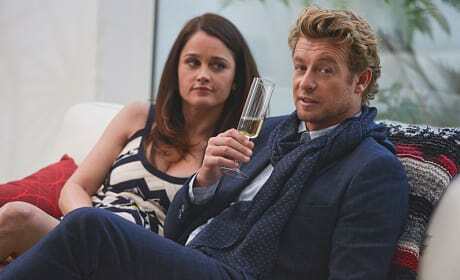 Jane may have gotten stuck on the sofa but at least Lisbon came back to make sure he stays warm. Looks as though sharing a bed isn't in the cards during this sting operation on The Mentalist. Is that one of the shirts Jane picked up while living at the beach? "Violet" is the 16th episode of the show's sixth season. So who just walked in and stole Teresa's attention? Could it be the mystery FBI agent on the art squad? 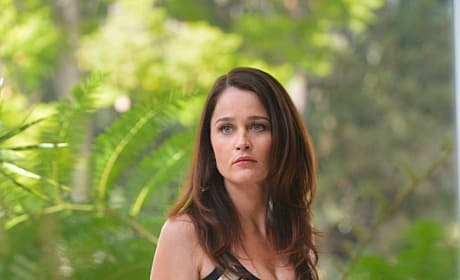 When was the last time we saw Teresa Lisbon all dress up? We're betting a certain someone wouldn't mind if she wore them more often. 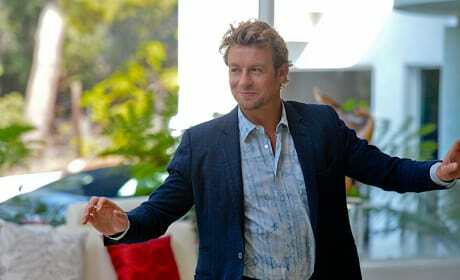 Jane certainly looks as though he's enjoying playing his role in this undercover operation on The Mentalist. 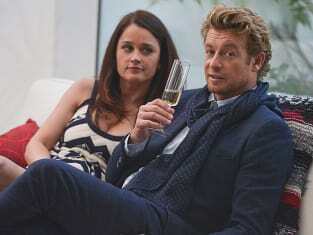 Lisbon and Jane go undercover in a dangerous sting operation on The Mentalist. "Violet" is the 16th episode of the show's sixth season.